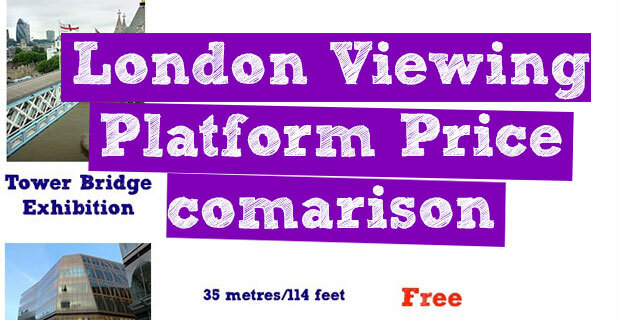 London Viewing Platforms: Price comparison. Hot on the heels of another post – 11 amazing places to see London from above – I thought it might be useful to compare the price and height of every viewing platform in London mentioned on that post. Obviously the best views will come from the higher viewing points, but as with most London attractions some offer better value for money than others. This first table shows the height and individual price of each viewing point in London, hopefully this will help you decide which ones are worth a visit. This second table shows the cost for 2 adults to visit each viewing point. London Visitor Attractions: Price Comparison.